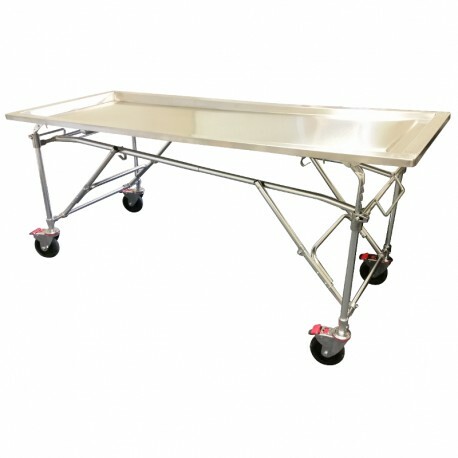 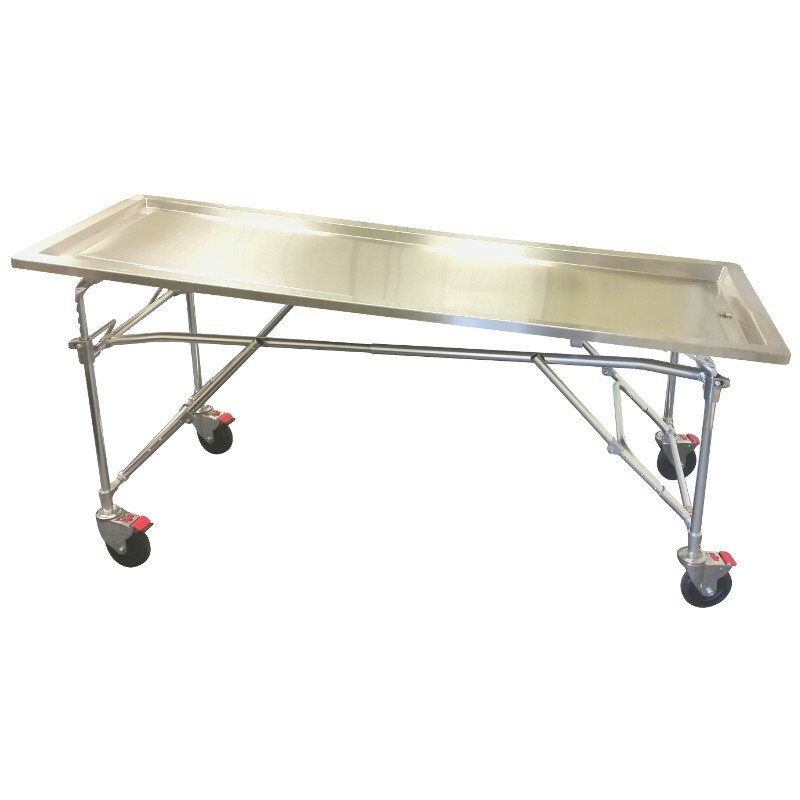 A handle release can easily adjust to either end of the table from 32.5" to 38.5" independently. The table is constructed with a 304 stainless steel, trough style top with strong lightweight tubular frame. 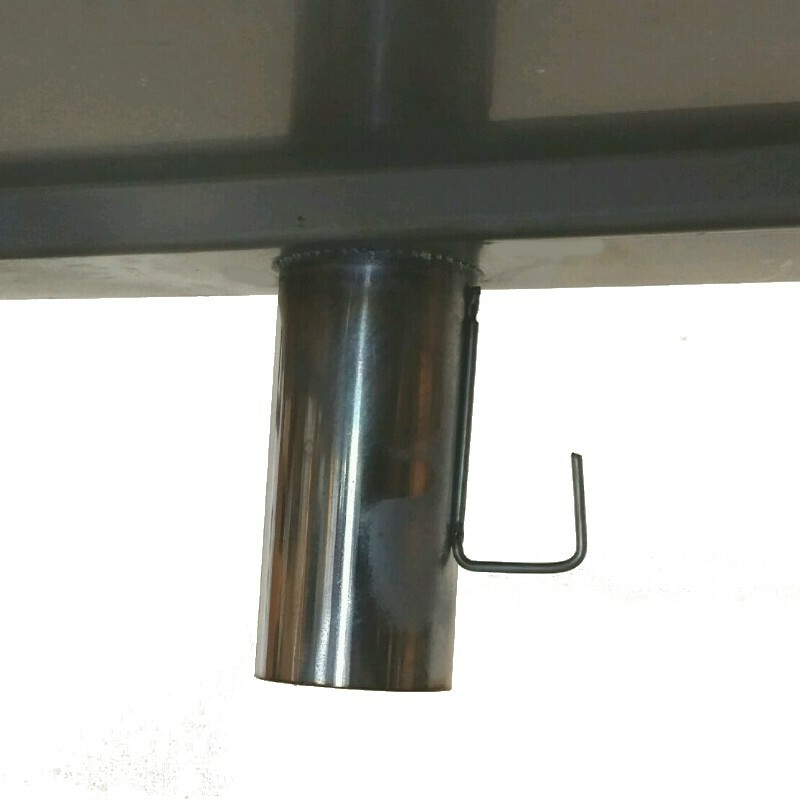 The swivel wheels lock to keep the table stationary while in use. 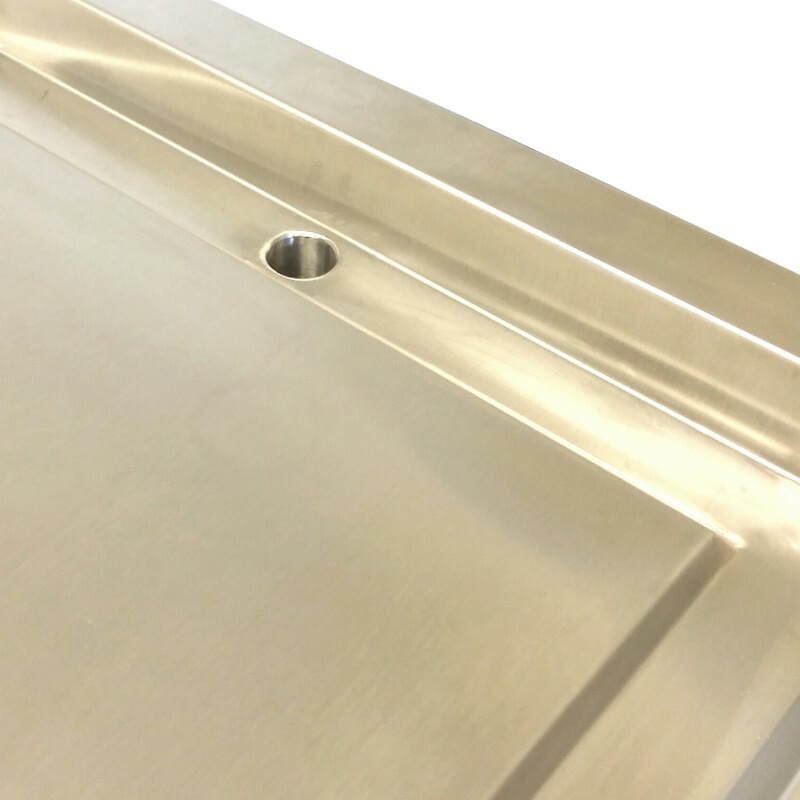 The drain, located in the center of the foot end, quickly eliminates fluid from the table. 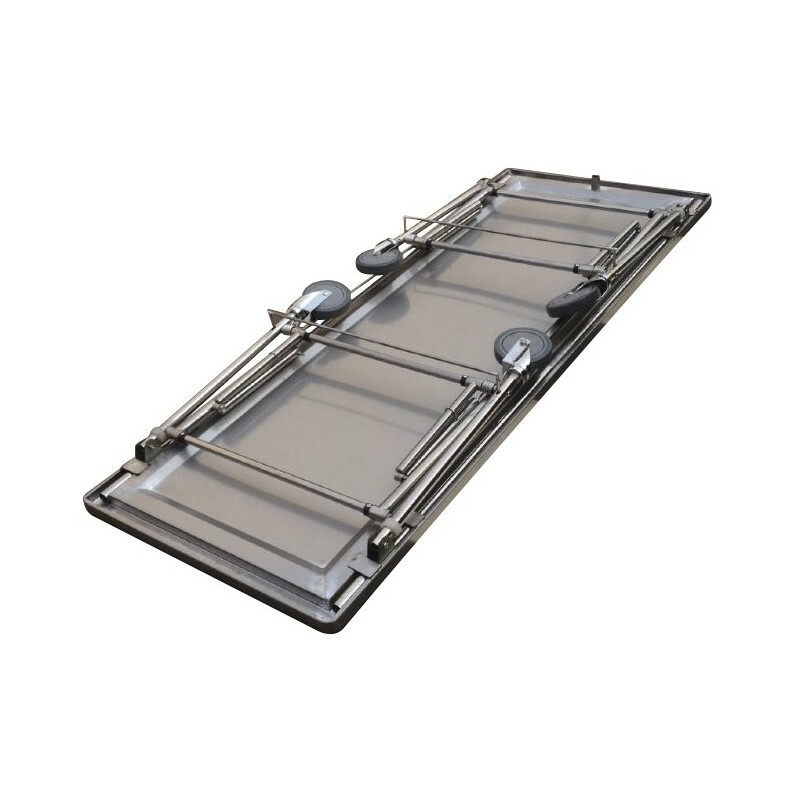 The legs fold compactly for ease of storage when not in use and can stand on one end for storage behind a door or in a closet.